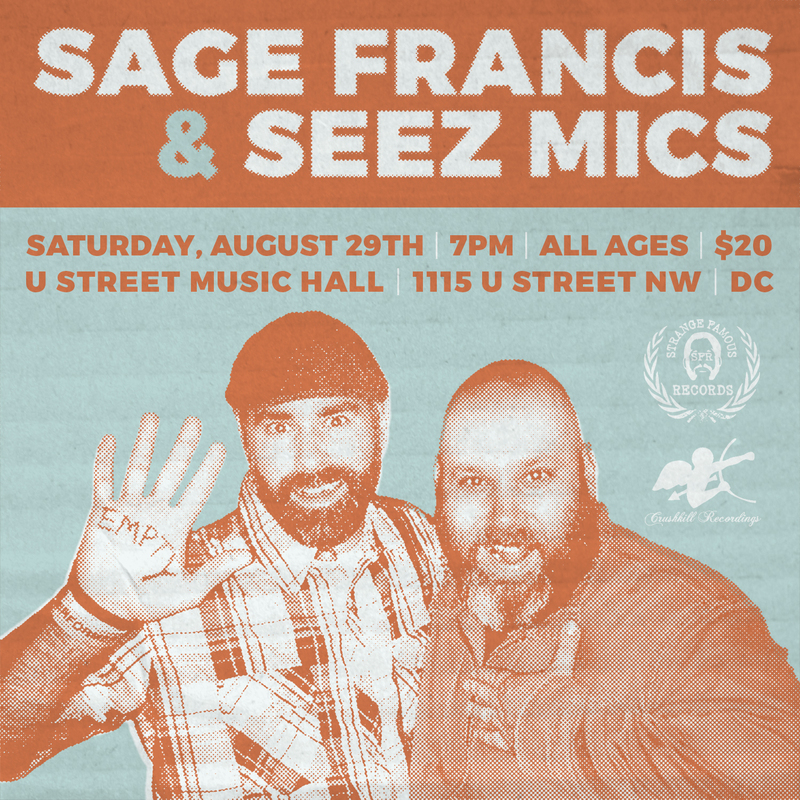 Seez Mics and Sage Francis join forces once again at U Street Music Hall on Saturday, August 29. -This is an EARLY ALL AGES show, so get there by 7 PM and bring the babies. -I’ll be debuting new Seez Mics shirts for the first time at this show.